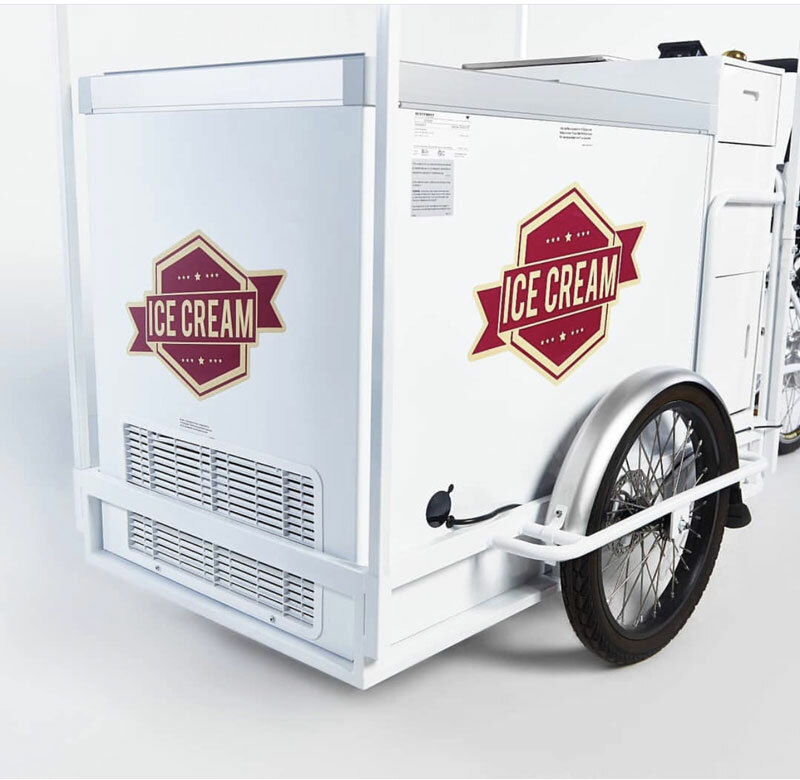 The refrigerated bike is an E-Bike designed to sell mainly foods and drinks that need constant refrigeration. The 12V refrigerator/freezer runs on a 12 V, rechargeable battery. This means you can run the bike for about 8 hours free of plug-ins. 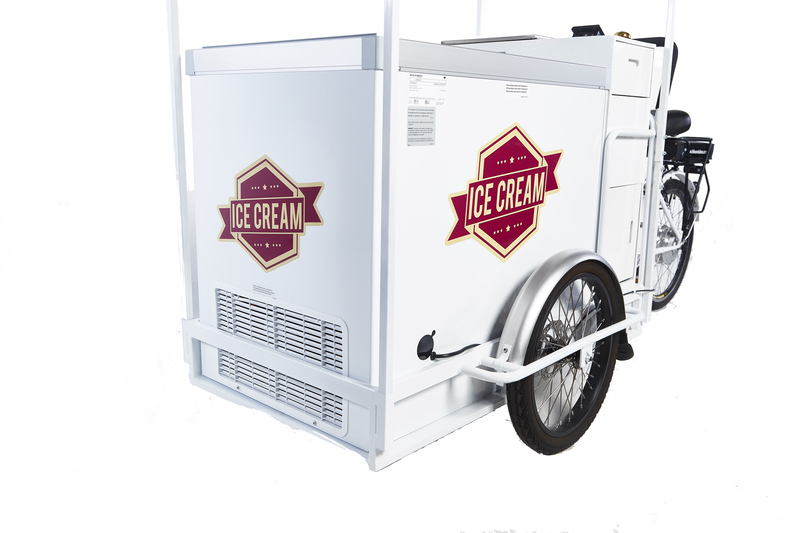 Sell packaged ice cream and gelato all the way to bottled or canned drinks, packaged fruit cups, yogurt etc. It comes with a sun canopy and has an umbrella holster too. 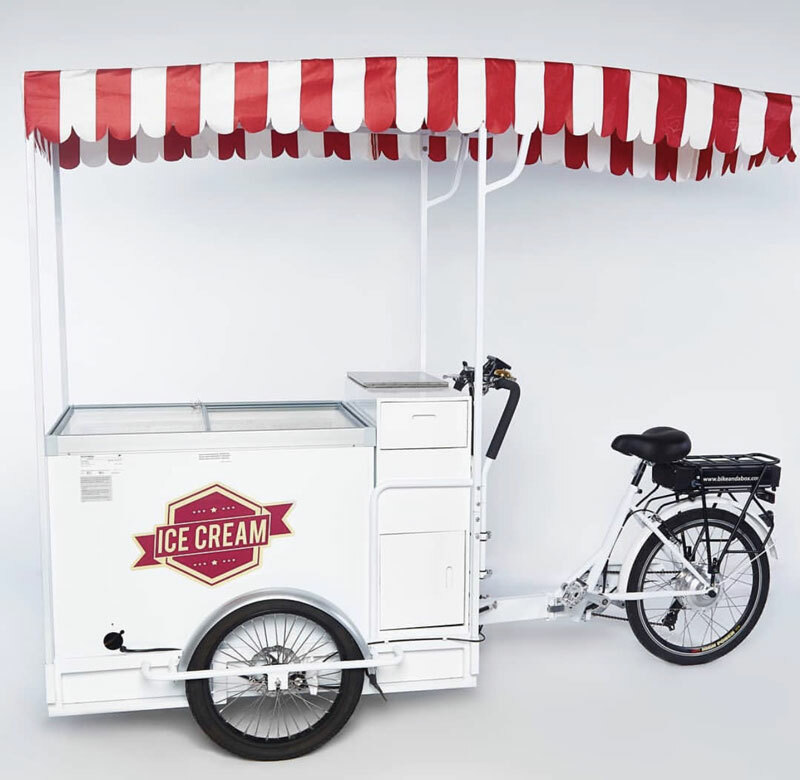 The refrigerator bike good for Ice Cream/Cold Drink, Frozen or cold foods comes standard with a hand-wash sink and tap, fresh water and grey water tanks and a 12V water pump. Give your legs a rest and save your energy for the "show" by adding a Dapu 500 watt brushless rear hub motor. This provides pedal assist at 6 levels with an additional zero option that allows throttle control without pedaling. 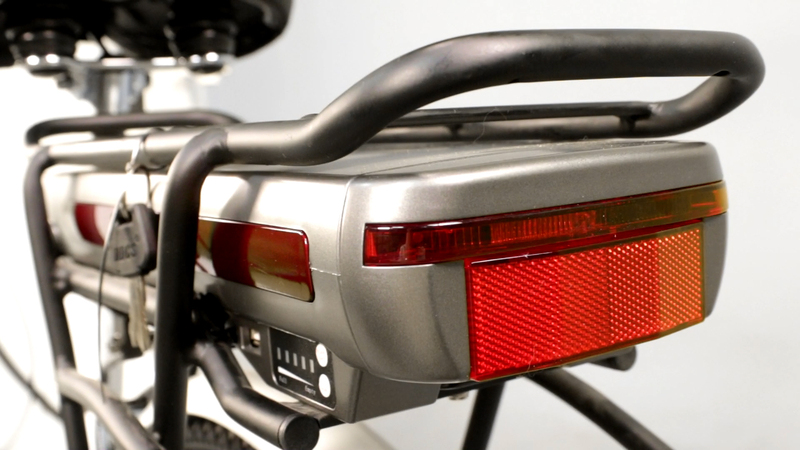 The motor can power the bike to 20 mph using the battery only. The motor is powered by a rechargable Lithium battery. It is seated in a removable pack and comes with a USB port. The battery is 48v/13ah and will run for about 6 hours on a single charge. It has an estimated range of 20 to 35 miles, depending on how much you pedal! And Pedaling Your Business Forward Today! Battery: 12V 80ah Storage Battery. Charge time 6 hrs. Have you always wanted to be your own boss ? 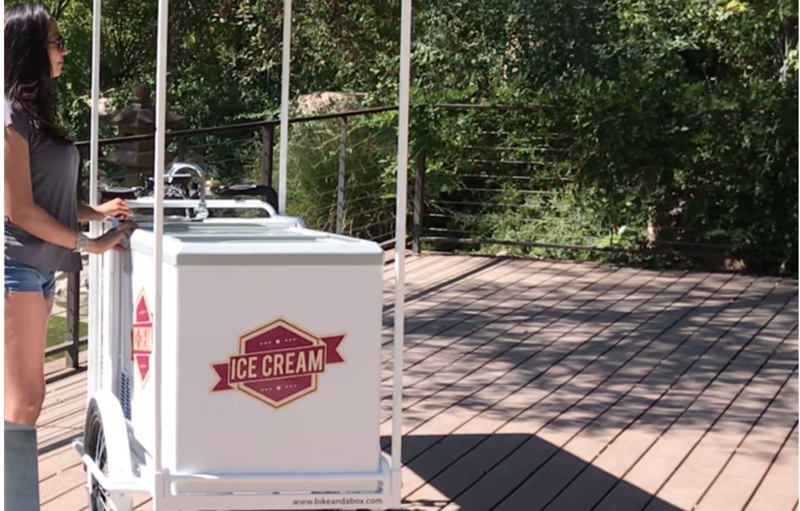 If a brick or mortar shop or food truck are out of your budget, then consider Bike And A Box. It's a chance to own your own Business at a fraction of the Cost. Whether it's a growers market, A street corner or a special event, Bike And A Box attracts people's attention. 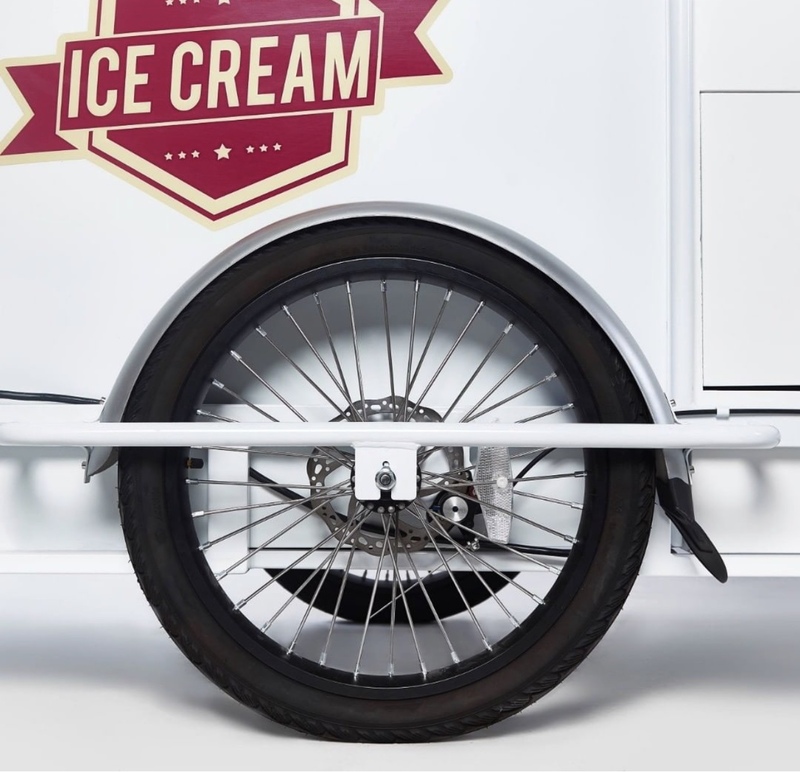 The Cold Brew Bike is a trike designed for all things On Tap:, Nitro Cold Brew Coffee, Kombucha, Beer Lemonade and more. 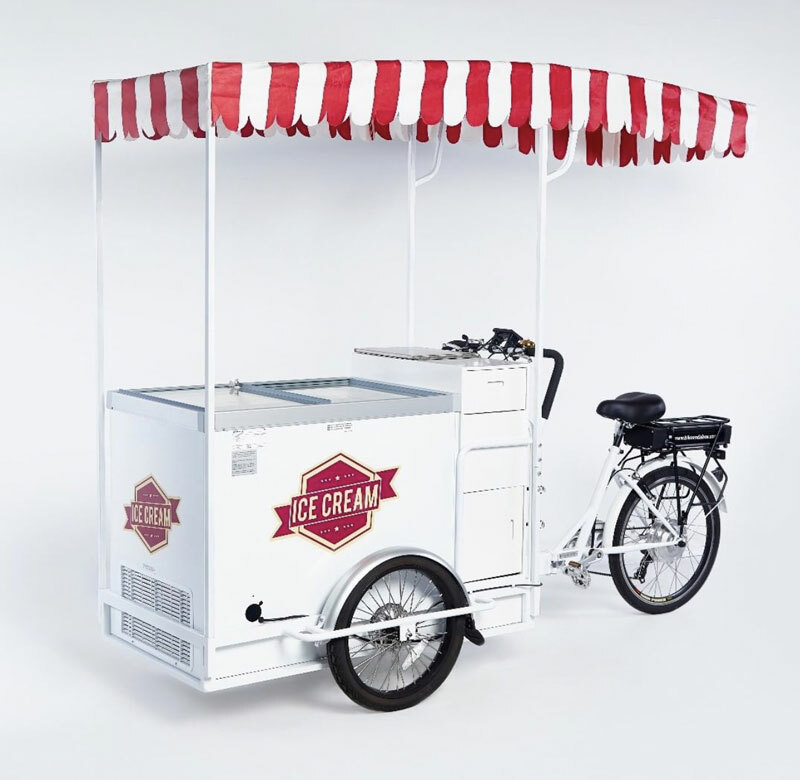 We think the limits are endless to what you can sell with a trike; imagine creating a retail ‘Pop-up Shop’ just about anywhere. The Model E also makes a fantastic, eye catching promotional platform. Just connect “beach flag” type banners, a canopy or printed umbrellas to really stand out! The trike is the same width as a wheelchair and can access any places that are ADA Compliant or ADA Compliant Doors and Access Ramps. What makes Bike And A Box Hot or Cold Brew Bikes different from other so called "Coffee Bikes" is our Owner's 25 Years experience as a coffee roaster and coffee enthusiast. We are not a franchise and we Don't charge monthly fees.